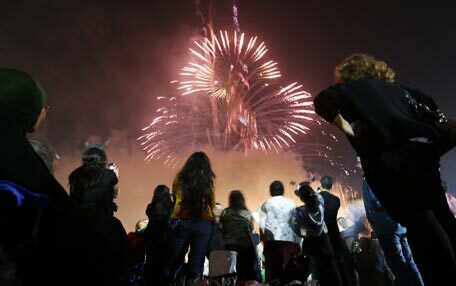 The Downtown Dubai New Year’s Eve Gala, a dazzling never-before-seen show of fireworks, LED light and laser beam displays, has once again positioned Dubai on the global map with the world’s most-watched New Year’s Eve spectacle. The gala event, organised by Emaar Properties, also clinched the Guinness World Records title for the ‘World’s Largest LED-Illuminated Façade’ on Burj Khalifa, the world’s tallest building. 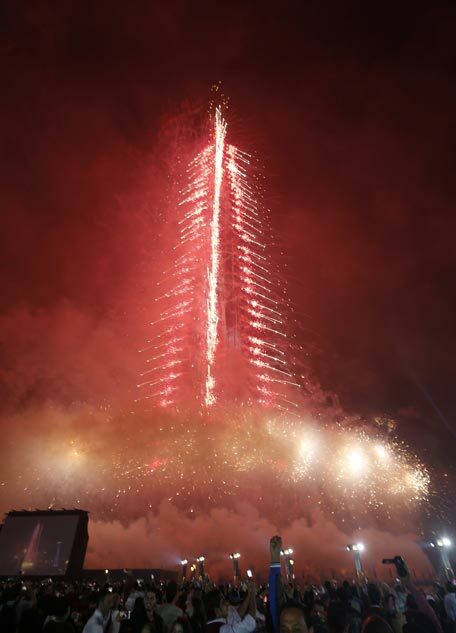 The Downtown Dubai New Year’s Eve Gala was undisputedly the most-attended to date in the region, with residents and visitors from around the world forming a sea of humanity in Burj Park, Mohammed bin Rashid Boulevard and along The Dubai Mall’s waterfront promenade. The event was also live streamed on Youtube with four different camera angles including an aerial view from three drones which were introduced this year, for the complete effect. Additionally, live feeds of the event were telecast over major international channels reaching billions of people around the world. The ‘World’s Largest LED-Illuminated Façade’ around Burj Khalifa was the centre of all glitz as it regaled the teeming spectators with one of the world’s brightest visual displays to date. Spanning a total area of 32,467 sq metres, the illumination surpassed the existing record held by Mall Taman Anggrek in Indonesia, with the LED screen area around Burj Khalifa nearly 3.75 times larger. The record-breaking LED display had an impressive 70,000 LED bulbs placed in position using over 100,000 brackets and linked seamlessly using 55,000 metres of cabling for the perfect visual display. The LED show created a visual spell with its powerful multimedia showcase of the rich heritage of Dubai, its visionary leadership and iconic accomplishments. 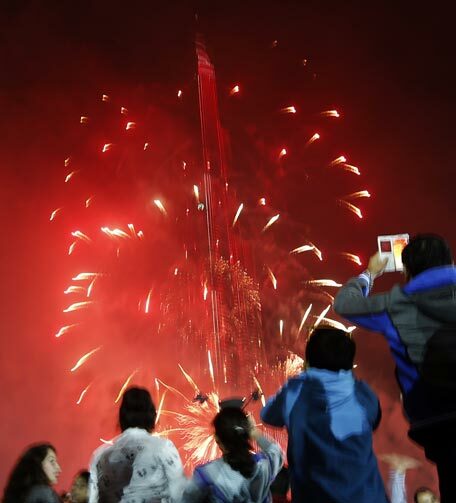 The fireworks, laser show and multimedia display used the world’s most advanced pyrotechnics and LED illumination technology. Professionals from around the world worked on the project with over 192,000 man-hours devoted to the gala. About 200 skilled professionals were tasked with the project. 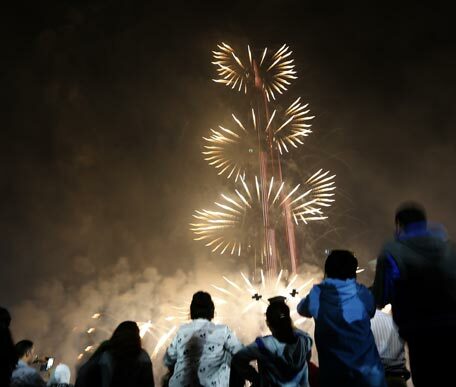 Over 4.7 tonnes of fireworks were used for the fireworks display with 25,000 shots lighting up the sky. 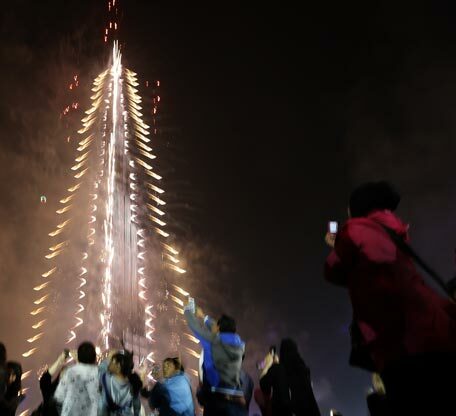 The perfectly synchronised fireworks used over 25,000 metres of cabling, some rising up to tip of Burj Khalifa’s spire for the crowning effect. Beating all past editions of the Gala, the fireworks served as the most compelling yet. 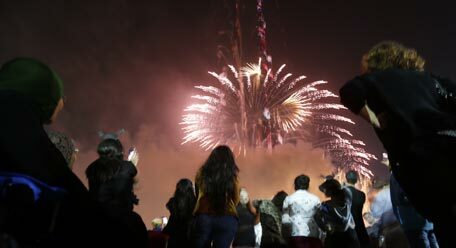 In the first act, gold and silver strobe light effects illuminated Burj Khalifa, complemented by fireworks displays from across buildings in Downtown Dubai. 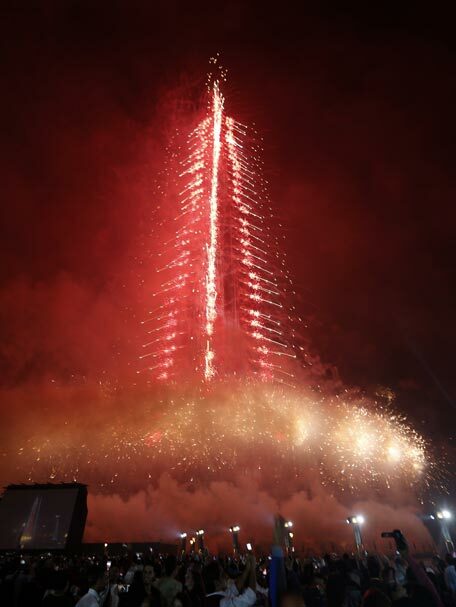 Presenting Burj Khalifa as a ‘living entity,’ the never-before-seen pyrotechnic design of the fireworks dressed the tower in colourful rings and volcanic waves in the second act. Burj Khalifa was now resplendent in rainbow colours that scaled up and down the 828-metre-high building. A constellation of twinkling golden stars in a glitter of pink that resembled a shower of stars over Downtown Dubai followed. 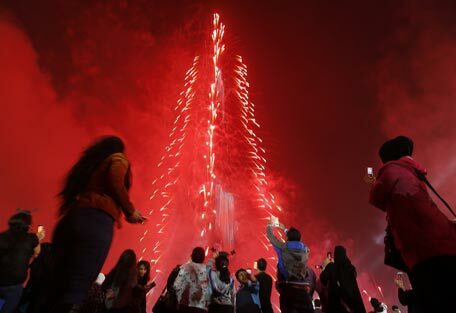 The fourth act featured a wave of cyclonic light effects enveloping Burj Khalifa. Silence dawned as the countdown to the New Year began, ushered in by the fascinating crescendo. 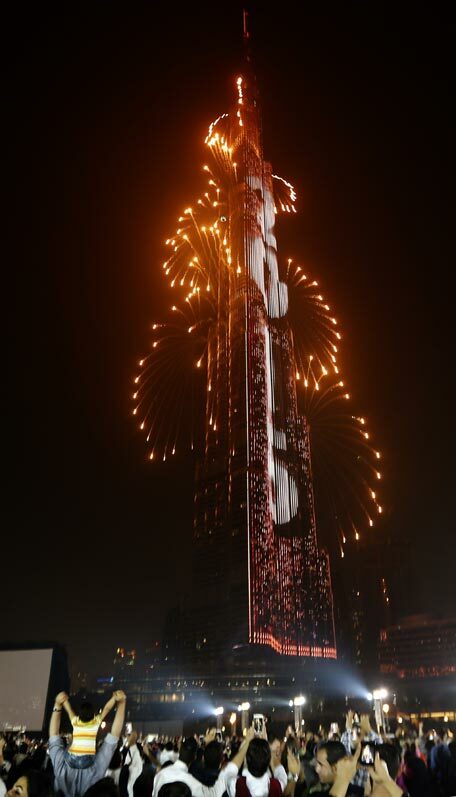 Thousands of stars lit up Burj Khalifa with quivering light sequins enveloping mankind’s iconic achievement.